Looking for the perfect dog birthday gift for that furry friend you love to cuddle? 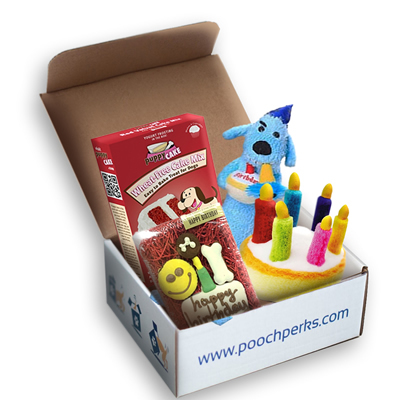 Don't be surprised if you get a sloppy wet kiss when they get a whiff of the Barkin' Great Happy Birthday Box packed full of birthday themed all natural Made in the USA treats and toys. Box contains 4 to 5 items which may vary from what is pictured but will be birthday themed.